The plot is good and well structured. It’s simple yet full of a deeper message: don’t be afraid to let others get to know the real you, or don’t be afraid to be vulnerable. It’s fast paced and insightful. It’s the story of Caddie, a girl who’s finally achieved her long life dream of studying at the Academy, a performing arts high school, so she can perfection the art of acting. The problem? She suffers from a terrible anxiety which has led her to an awful and extreme OCD. Did you guess? 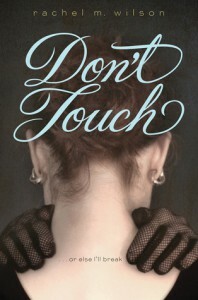 Don’t touch! So how can an actress be successful and not touch anyone? Well, that’s what Caddie wants to know. I absolutely loved the parallel the author made between Caddie’s life and Ophelia’s. Her relationship with her dad, with her love interest and even her OCD mirrored those of Ophelia. It was great to watch her get comfortable at her new school, and then get all freaky. I must admit, her weirdness got a bit too intense for a moment, and her Don’t Touch mantra was somewhat annoying. Then again, I don’t understand someone who feels that kind of anxiety and irrational fear, so what do I know? It doesn’t ring true sometimes to think that bad things may happen if you let someone touch you, especially for a girl who is…let’s say 16? So it’s kind of odd. But again, I insist, maybe it’s because I can’t understand the feeling. Nevertheless I thought that the character of Caddie was very well constructed. Even though her disease made me uncomfortable at times, and others I just wanted to make her see reason, her anxiety was very real. You could feel her despair and frustration but also her insanity. I think the author captured very well the delicacies of a mental illness. I also loved the relationships that were portrayed in the book. Especially the dysfunctional group of friends and the acting element. I’ve seen the stereotype of actor’s craving attention come to life one too many times, and this book illustrates all the eccentricities and personality of actors all too well. But what is better is that the author also managed to depict their teenage selves brilliantly. The way they dealt with their problems and how they acted with each other, yeah, that’s High School. I want to give an honourable mention to Peter because he was so kind. I love good guys, and he was a great one! But Mandy was my favourite. Such a loyal friend! I adored that the friendship element was highlighted in the story and the family element too. I loved to read about supportive characters and unconditional love for those you care about. That’s a great message. Overall, It was a good fast paced read that got me very invested in it. I had some issues with her OCD, but the story in itself and the message behind it was very powerful. I enjoyed the acting and the Shakespeare element very much! 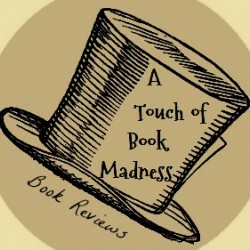 *Note: I received a free copy of this book from the publisher in exchange for an honest review, but my opinion was not biased in any way by this fact.